Wisconsin Representative Mark Pocan explains in a brilliant speech how ALEC is working to eliminate public education in the state of Wisconsin specifically in a bill regarding vouchers and special education funding that’s right out of the ALEC playbook almost word for word. This is from the Assembly floor session on March 13th 2012. 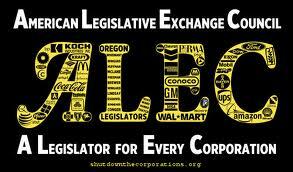 The American Legislative Exchange Council (ALEC) is the most powerful corporate front group you’ve never heard of. The group, sponsored by some of America’s largest corporations, writes legislation that tends to benefit its donors and ships these template bills to state legislatures for compliant lawmakers to pass. ALEC has pushed for legislation doing everything from attacking workers’ collective bargaining rights to making it harder for low-income Americans to vote. But one Wisconsin lawmaker is not content with allowing a corporate front group to secretly write his state’s laws. 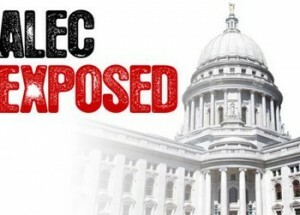 Rep. Mark Pocan (D) decided to join ALEC — its legislative umbrella includes nearly one-third of state legislators — and gain access to the template bills it was writing. His legislature recently began to consider AB 110, which allows for special taxpayer subsidies for private schools for special needs children. Pocan took to the floor of the Wisconsin House and noted that the text of this bill that provides for a huge blanket taxpayer giveaway to the private school industry was remarkably similar to an ALEC template bill. Pocan obtained an e-mail trail of ALEC representatives to Republican staffers. These staffers then pushed for AB110.